Dual driver quad-core power, providing more power for the low frequency. The sound will shake your heart! Never miss any musical experience! Dual Speaker! Dual Driver! 4D surround sound! IPX5 Waterproof! Fitness? Walking? Ot at home? Wherever you are, a strong voice always with you, and the X650BL headset can be easily integrated into your environment for mobile lifestyle music lovers! 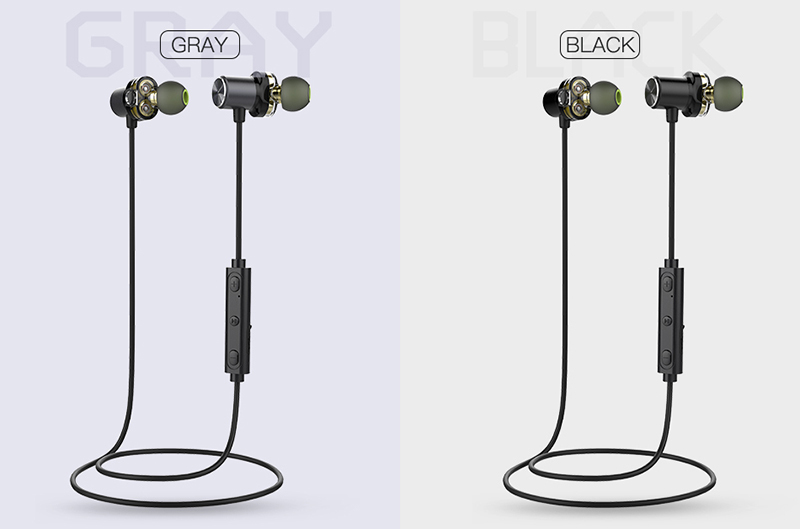 100 mAh lithium battery capacity, 1.5 hours to full, enjoy up to 5 hours of uninterrupted music feast, 200 hours long standby! Magnets on both sides of the headset. Can be fixed on the neck. Long wear painless, refreshing movement no sense of weight. 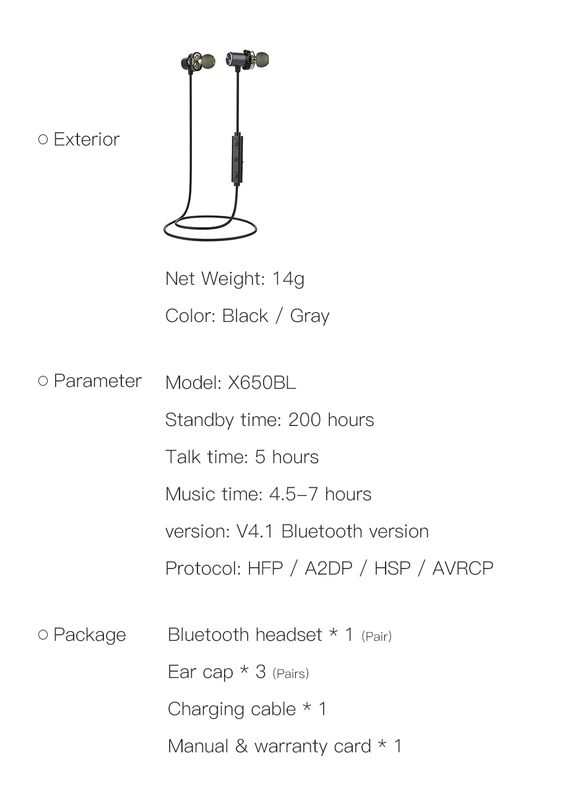 Support 4.1 Bluetooth, fast and stable connection to the phone! Enjoy calls and music within 10 meters thanks to the stable signal transmission! Note: Please make sure the “X650BL” battery is charged when you do the steps. If any problems, please contact us! As always, all great! 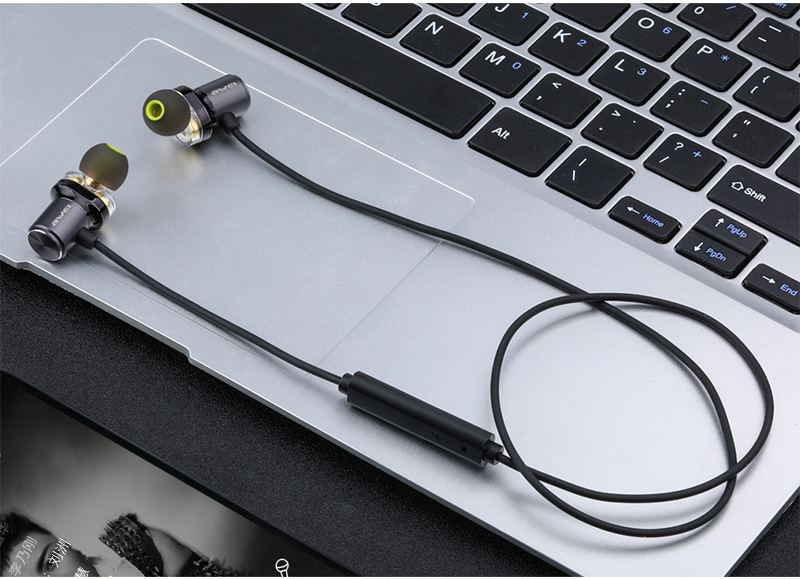 Beautiful sound, powerful magnets, super! Perfect delivery (and quickly, and home). Normal headphones, sound great.